When someone, usually a critic, says that a certain style of writing is purple prose, what exactly do they mean? In his 1914 lecture "on Style", Arthur Quiller-Couch. (from his reprinted 1913- 1914 Cambridge lectures "on the Art of Writing") talked about extreme ornamentation in prose. "If you here require a practical rule of me, I will present you with this: ‘Whenever you feel an impulse to perpetrate a piece of exceptionally fine writing, obey it - whole-heartedly and delete it before sending your manuscript to press. Murder your darlings." So what are the darlings that must be murdered? Imagine you are at a local fair and an enthusiastic friend buys you a huge pile of purple cotton candy on a paper stick as a "treat." In my case, I might attempt to eat a bit, just to be polite. But, even now, just the thought of it makes my teeth hurt. 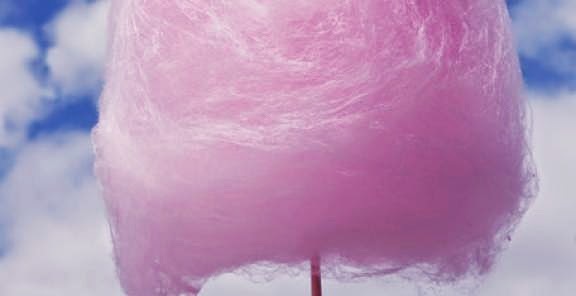 Cotton candy is fluffy, sticky, and sickeningly sweet. It melts in your mouth leaving a saccharin syrup to swallow. Once every ten years I might try a mouthful. But that's the most I can suffer. It's all about personal taste, really, isn't it? Not to say it's wrong to eat it, but one should be aware of the downsides of eating too much of it. 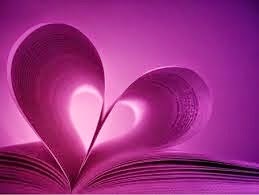 Purple prose can be like that. There are a lot of definitions about purple prose out there but they are all pretty much saying the same thing. 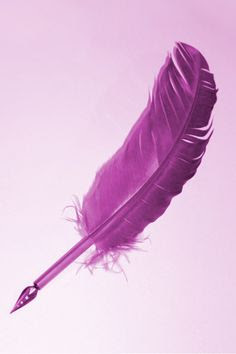 The most obvious purple writing is like making the reader eat an inordinate amount of sticky sweetness - the kind that sticks to your teeth and makes them ache. It also can force the reader to take part in an overabundance of crashing, slicing, dicing and swooning if there is a lot of dramatic action in the writing. Swashbuckling historical novels are called Bodice Rippers for a reason. But for those of us who do not, how does a writer recognize that they are actually writing purple prose and not strong, creative descriptive writing? How can they see when they are whipping up images that are simply too sticky or "over the top" or embroidered in a way that will hold their readers back from participating in a real world that involves them and makes them want to read on? 1. Purple Prose first and foremost is distracting. If you're reading a novel and become only aware of the words being used while the story, characters or plot are taking second place - and you realize that many of the words the writer has used seem to too ornate, overly descriptive, full of old cheesy cliches,etc then chances are pretty certain you're reading purple prose. That is not to say that rich language should be left out of strong writing. But good imagery should slide its way easily and seamlessly into a reader's consciousness as they read. Beautifully crafted writing has words and imagery carefully placed in a story in order to allow just enough atmosphere, emotion, and visual description - in the just right way - to allow enough room for the reader to fill in the rest of the created world themselves. This is vital to clear, strong writing. It is the kind of writing that holds the reader captive, breaks down that forth wall, and tumbles them right into your story -- and, best of all, offers them the gift of making your story their story. The opposite of writing purple prose (and we've all tried to grind our way through this kind of writing), is when a story lacks any kind of descriptive writing, or strong characterization, or compelling story to the point where the piece becomes a stodge of blinding dullness for the reader because of the complete lack of imagery and "life" in it. So this is a balancing act we are talking about here. Purple prose is verbose, extravagant, overly descriptive, and full of worn out cliches. It doesn't mean the entire book will be made up of it, but often just enough phrases and repetition of certain words (like "munching" on food) will clang the purple bell at regular intervals and put the reader off. The first couple of quotes come from a Sci-fi "book" called The Eye of Aragon. It was written anonymously and sent via computer to readers. It has been described ... (according to Wikipedia) .... as one of the genre's most beloved pieces of appalling prose and is well known on the net. And remember this is really over the top! with crimson droplets of escaping life fluid. The entire story reads like this. Once again, that's not to say rich descriptive language shouldn't be used. But it must be used with care and in the right place. -Twinkling eyes -- and that includes sparkling, teasing, and glittering. - Do not ever describe breasts as orbs, mounds or globes... or any other part of the anatomy as in the above! - Call a moon a moon - do not resort to one writer's description of the"lunar orb". In fact, delete the word "orb" from your vocabulary! - he had a thick mane of hair.... Please. No. - avoid the use of imagery that involves nature and the character - that is, describing lips as opening petals, hearts as full of ice, arms as snake-like, hair as sun-kissed tendrils, fingers as lily white .... and on and on and on. If you find yourself thinking, wow, that is a wonderful rich phrase I have just penned, chances are you need to murder it! 3. The ultimate aim of writers who use purple prose is a skewed one and often simply misplaced. People who write purple prose are either pulling your leg (and this is a new "trend") or are eager writers who somehow just fall into purple prose - usually beginners or unedited writers. Their misdirected, but ultimate aim is to manipulate your emotions and to also to make you remember their writing. They think that overly sensual, overly rich and ornate descriptive language will get your pulse racing and your heart beating faster and hold your interest longer. It just doesn't work that way - unless the reader is inclined to fan themselves often while reading. Adjectives and adverbs are useful tools for writers - if done in moderation - judiciously placed so they can offer something special for the reader -- a scent, a colour, a rich setting, an intensity that can will only enrich writing. But when overused and repetitive, they will actually make a reader feel as if they are being smothered in cotton candy - and the writing then becomes an intrusion into the reader's intimate and private reading of a story that should be theirs and no longer the writer's. It's like having someone tap dancing frantically all around you while you try to read - all the while shouting, "Look at me, look at me I'm a writer! I'm your writer! Are you feeling it? Are you feeling it?" When you throw a book across the room, you are really aiming at the writer not the wall! Real writing: The waitress set the cup of coffee on the counter. 4. Purple Prose is simply "overwriting". Overwriting is when you use three or five qualifiers when you could use one. If you are having a herd of wild horses pounding down a dirt road, dust boiling up behind them ... you don't need to add slathering, wild-eyed, sweating, dusty, whipping manes, crashing hooves or any other qualifier. Strunk and White's "The Elements of Style" has a chapter called "An Approach to Style." This is still one of the best books to read for any writer. They say, quite rightly in my opinion"...since writing is communication, clarity can only be a virtue. And although there is no substitute for merit in writing, clarity comes closest to being one." This is an excellent post. I struggle with too many adjectives and adverbs. Thanks Margaret. I will read it when I start adding too many "darling"!